Heat oven to 350 degrees. Butter a 9″ x 13″ baking pan. Set aside. Wash potatoes and quarter. No need to peel red or golden potatoes. Place potatoes in a large pot and cover with water. Bring to a boil over medium high heat and cook for 20 minutes or until fork tender. Drain and mash with 1/2 cup of milk. Set aside. Peel and dice carrots; dice celery; dice red and green onions. In a large skillet, melt 1/4 cup of butter over medium high heat. Add diced red and green onions and saute for 6 to 8 minutes. Add carrots and celery and saute for another 6 to 8 minutes. Add ground beef and spices. Cook and stir until beef is browned and no longer pink. Drain and return to pan. Turn heat to simmer. In a small saucepan, melt 1/4 cup of butter over medium heat. Whisk in flour until blended. Slowly add 2 cups of milk and white wine. Whisk constantly until slightly thickened, about 8 to 10 minutes. Add sauce to the meat and vegetable mixture. Stir well and let simmer for about 5 to 6 minutes, stirring occasionally. Pour into prepared 9″ x 13″ baking pan. Evenly spread mashed potatoes over. At this point, the dish can be frozen; just wrap in foil. Will last up to 6 months in the freezer. Let thaw for several hours and bake as directed. 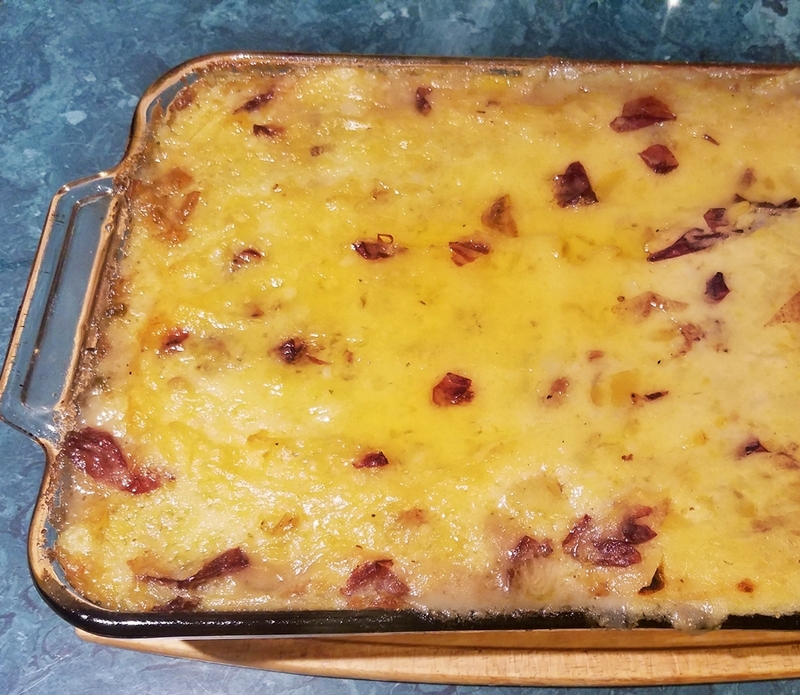 Cottage Pie is comfort food on a cold winter night! Satisfying and delicious, this savory one dish meal is a favorite in our family! 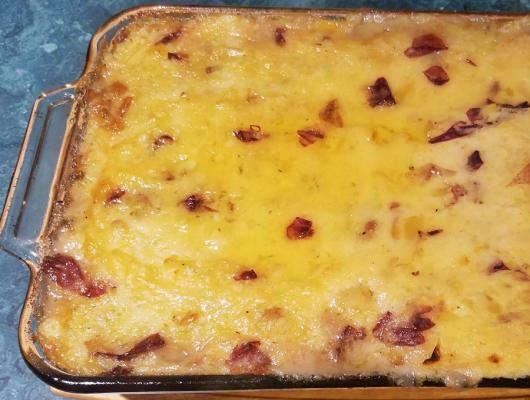 Try this for dinner tonight and make it a favorite in your family as well!